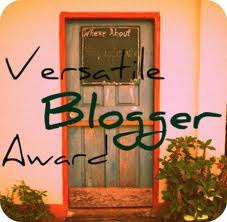 I have received the Versatile Blogger Award from Chicago Foodie Sisters and The Root Cellar's Garden!! Thank you both very much! Both of you are just awesome! When a blogger is given this award they are asked to thank the one (s) who gave you the award with a backlink to them. Then, list 7 things about themselves and award the blog to 5 other deserving bloggers. 4. My favorite drink is lemonade, though I hate lemon in food. I would like to pass this award on to some very deserving, and great blogs that I completely enjoy and know you will too.